The Ghost Recon Future Soldier reviews are in. So, what did the critics make of it? Joystiq: The way Ghost Recon: Future Soldier eases you into every new mechanic and gadget gradually is one of its strengths, presenting situations where these things can shine. In the first mission you gain access to the warhound – an armored quadroped with an endless supply of missiles and mortars – but you aren't immediately blowing up tanks and clusters of conveniently-placed red barrels. You do that stuff eventually, but you're eased into the experience of having an endless supply of carnage and fiery death at your disposal, a slow buildup that is indicative of the tension and approach so masterfully executed in Ghost Recon: Future Soldier. CVG: As we alluded to before, Future Soldier makes you feel like King Gun. There's a smoothness to the movement of your soldier thanks to real spec ops hardcase mo-capping and consultation, and it genuinely makes a difference in combat. From opening doors and clearing rooms, to sprinting from cover to cover in open battle, this game feels right. Headshots are brutal, weapons handle genuinely differently when you tinker with them in Gunsmith, and scenery falls apart as you riddle it with bullets. What's more, the tactical side is well implemented and finely balanced. 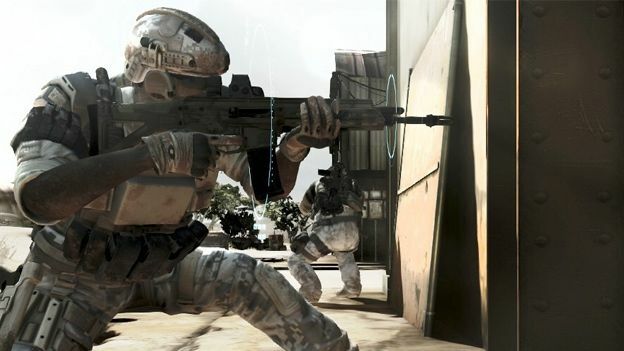 Early levels teach the basics of commanding teammates to take simultaneous shots (you can tag up to four enemies at once before giving the kill order, in some cases completely clearing that area of hostiles), while later stages ask you to consider how many you can pick off quietly - swinging a firefight in your favour - before setting off the alarm. Get it right and you can clear whole levels without ever being spotted. OXM: All it's lacking is confidence. The game might not once dare to underwhelm, but moments of true brilliance tend to emerge from the art direction - creeping into the mouth of a supertanker, shooting your way out of a dank church, clambering through a shattered Nigerian school. That the most impressive thing in a game about wholesale murder is the visuals suggests that Ubisoft might be using the drawing board the wrong way - but regardless, it's produced a shooter that's well worth your time. OPM: Only a slight lack of polish lets things down. Although it's generally a pretty game, poor character models and clipping make the cast of genero-men look like beardy versions of Morph. For all the novels sold, Clancy's PS3 titles still can't tell a compelling story, either. Yet with such a brilliantly playful toolset and strong online features (including four-player campaign co-op and a compelling wave-based Guerrilla mode) this is the most impressive soldier since that blue American bloke with the indestructible shield.